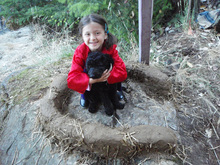 Welcome to Lasqueti Island's Cob Portal - Off the Grid & Loving it! You'll find info on all the latest workshops and apprenticeships offered on our unique island community. Have us Build for You! 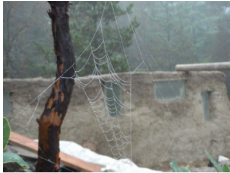 Cob is an ancient technique of building that will stand for as long as a solid roof is in place, a minimum of 300 years! Cob is simply a combination of sand, clay and straw, mixed together with water. The ratios can and do vary and both the material and building technique are incredibly forgiving. 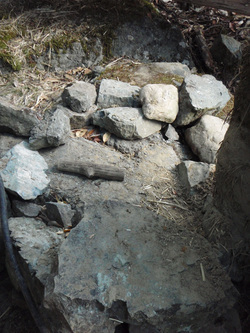 We usually start with stone foundations but broken cement slabs (urbanite) or poured cement could also work if that was easier for you. All of our organizational work and design starts with what is easiest for that particular site and builds from there. Cob is an olde English word that means loaf; Ianto Evans is credited for bringing this technique to the Wet Coast of North America and this word came with him. The technique I learned from him included making a finished mix into a batch of loaves (cobs) for tossing to the wall. We bypass that fun but time- and energy- consuming stage for all but the most technically challenging areas, like shelves. Oxen were used in Wales and Southern England to mix cob hundreds of years ago. Humans were likely the mixers thousands of years ago in Africa, Asia, and Europe and everywhere else. Today, we use tarps, human power, and natural forces to make our mixes. It's easier and faster and so gratifying to see a building grow before your eyes, all without the use of machines and the danger and noise that come with them. We laugh and play and mix some more. I hope everyone can experience the pleasure of making cob! We don't use forms and we don't use posts for our beams. Again, it's simpler, faster, and stronger. We love windows: they bring the natural world and light into our homes and speed up the building process even more. 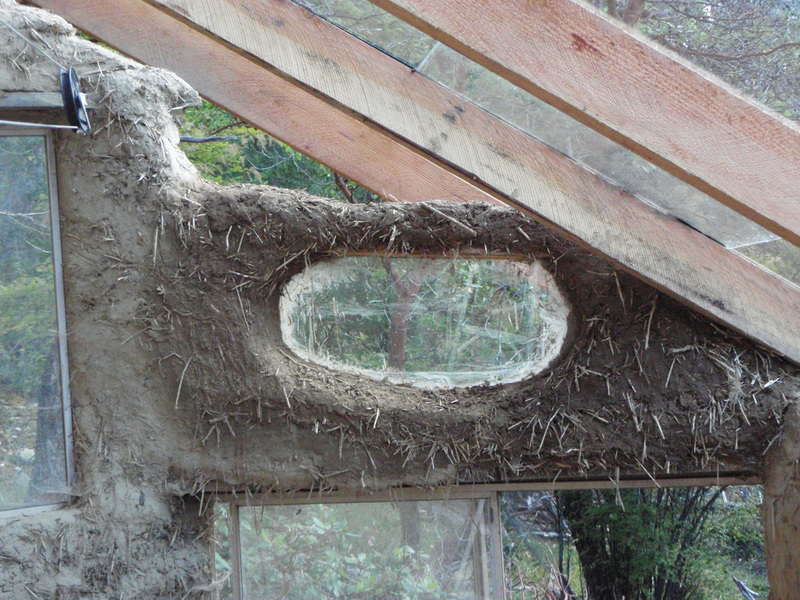 With cob, frames are optional, so any old window can look spectacular in an earthen building. And now we're finding ourselves building outside of the warm summer months because we can and it's still enjoyable. The building certainly takes longer to dry, so the process is slower than it is during the drier, warmer days, but it's another liberation that our Fast Cob technique gives to us. Best of all, cob can be enjoyed by the whole family: it's safe, quiet, fun, and our method is easy enough for just about anyone. And as you can see, even doggies get into the thick of things on our building sites! Some of most joyful moments of my daughter's life have been on a mixing tarp, doing the "Cob Dance." I invite you and yours to feel the bliss of working with nature, in peace and tranquility. We'd love to host you at one of our workshops, work with you as an apprentice, or come to your building site to help you build your dream. With Appa's Fast Cob, you'll create a breathable, healthy indoor living environment that is insect-proof, rodent-proof, fire-proof, and will last for hundreds of years and many generations.